Finding Inner Peace, LLC is a yoga school dedicated to providing quality education for yoga teachers, energy healers and sound healers. We have been in business since 1995 and have trained thousands of students in yoga. 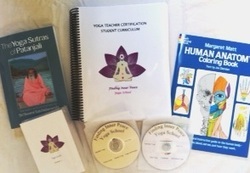 Affiliate locations provide yoga teacher certification courses using the curriculum manual and format approved by the National Yoga Alliance. Each location has faculty who were trained by Maureen Spencer, RN, M.Ed., Founder and Director, who started certifying yoga teachers in 1996. The affiliate locations are Registered Yoga Schools (RYS) with the National Yoga Alliance and have superb faculty with years of experience in yoga and the healing arts.